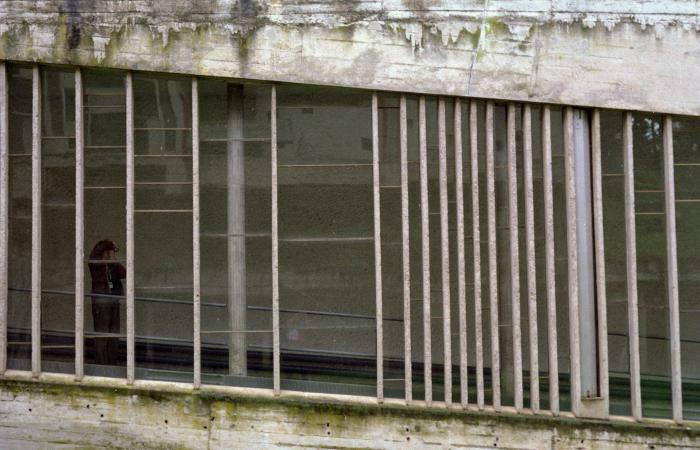 The monastery of La Tourette is located in Eveux near Lyon. It is also called Monastery of Sainte-Marie de la Tourette. "The Dominican monastery elevated atop a hill is built around a courtyard with several wings arranged asymmetrically around it ... to take advantage of the site. The feeling is completely different from that of Ronchamp, reinforcing the notion that after his early years Le Corbusier's internationalism was tempered by a careful consideration of place." Hasan-Uddin Khan, International style: Modernist architecture from 1925 to 1965, Koln, Taschen, 2001, p. 168. Keywords: France, Rhone, Eveux, French, Modern, European, International Style, ceremonial and/or religious buildings, religious complexes, views, monasteries.